The Communist Party of China is facing a problem that plagues many sick corporations. It is unable to keep a secret. I worked at Ford Motor Company when Jacques Nasser was CEO. He introduced a forced ranking system for annual performance reviews. Managers were required to rank a percentage of employees in the lowest tranche. If you were in that lowest ranking two years in a row the company made you redundant. This system was so widely despised it led to a quiet insurrection. Numerous company secrets worked their way into the Detroit newspapers. One day a mid-level Human Resources manager left with a box of files. He engaged a solicitor and claimed the performance rankings were discriminatory. A lawsuit and many, many negative articles ensued. In time Mr Nasser and his head of Human Resources were invited to leave. Dr. Leslie Gaines-Ross is the Chief Reputation Officer at Weber-Shandwick. Her book on CEOs notes that the loss of company secrets is an early indicator of company troubles (Read her blog reputationXchange.com). Employees lack faith in management so they begin to share information with outsiders. These employees seek validation that their wrongful assessment is on target. They also seek to destabilise management, such as occurred at Ford. Today the Communist Party of China faces the same challenge. It’s deepest discussions are being spread across the Internet. Changes in leadership and new policies are widely known before they are published. Partly this is blamed on the two competing factions within the one party. The conservatives are loyal to the founding principles of Communism and want a return to state-sponsored social benefits and stricter controls on the economy. Reformists are seeking to continue the economic reforms that have made China the world’s second largest economy. Both understand China faces mounting problems of income disparity, ecological degradation, food safety concerns, inadequate healthcare cover and more. These all lead to increased incidents of social unrest. All this destabilises the Communist Party’s control of the State. And in the midst of this turmoil the State cannot keep a secret. Internal Party deliberations are aired online. Internal factions are reported in newspapers. 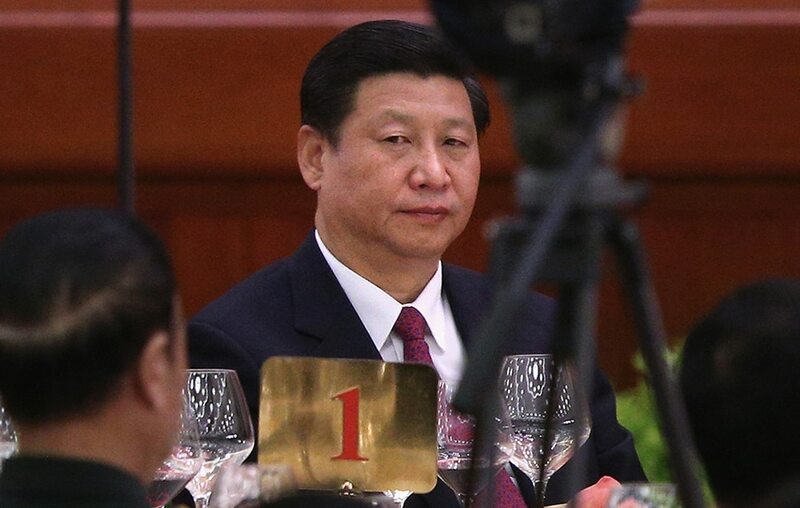 The incoming President of China, Xi Jinping, faces enormous challenges. One of which is restoring trust among fellow Communist party members. Only then will its secrets be safe. You draw a very interesting and reasonable sounding analogy using the faltering business model; which makes me wonder; given the fact that the Chinese people are having such civil unrest due to our similar economic problems as here in the U. S. A., by what means do you think the newly appointed Chinese President will use to accomplish a unifying common factor to promote inner peace and prosperity among the Chinese people?